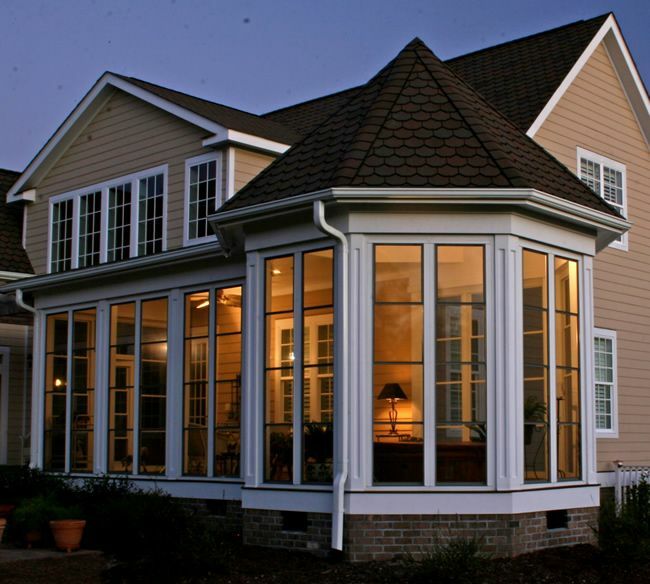 Pioneers of the customized sunroom, award-winning Southern Exposure Sunrooms® is one of this region’s shining examples of what makes a business watertight in a stormy economy. 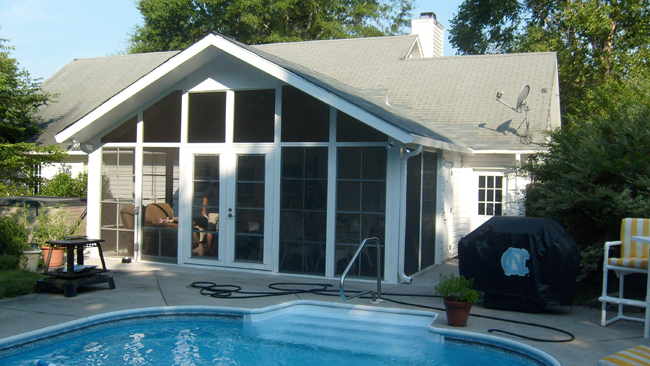 We built over 500 sunrooms last year alone. John Hickey and his local teams here at Southern Exposure Sunrooms are celebrating a strong end to what is shaping up to be a wonderful 2012. While the region’s building industry continues to gain momentum across eastern North Carolina, most of Southern Exposure Sunrooms’ customers are actually current home owners who simply want to upgrade their existing homes, their property’s value, and the whole family’s overall quality of life by adding a year-round Southern Exposure Sunroom. People may have cut back on exotic vacations or buying bigger homes, but with refinancing, low interest rates or home equity loans, they find they can reinvest in what they have. An out- door paradise to enjoy all season long is possible and that’s where we come in. Portraits of past projects line the company’s showroom walls with no two alike. Each sunroom melts into the original architecture with perfect symmetry. These are not converted porches of wooden frame construction. These are masterpieces of high tech glass grown over the bones of interlocking aluminum frames. The frames are built in Leland. They use aluminum because it’s strong yet incredibly flexible. When you have that flexibility, you find you’ve got a lot of freedom in the design you can create for the customer. That’s why each one of the sunrooms they build is unique. The engineered frame also allows for much larger casings for windows with sliding windows up to 72” width and height. One of the company’s best sellers is The Naturespace® Glass Room. Perfect for the Carolinas’ fickle climate, this sunroom is famous for its durable all-season insulated glass windows and Energy Star rating. The construction withstands winds up to 130 miles per hour and is so weather- resistant it saves on utility bills as well. With Ed Vogelsong and John Hickey at the helm, this all-American company began constructing sunrooms and only sunrooms in 2005. Now boasting thousands of satisfied customers in New Hanover, Brunswick, Bladen, Duplin, Pender and Onslow counties, the company serves customers in Raleigh, Fayetteville, Charlotte and Myrtle Beach as well. They wanted to do one thing and do it really well and they think what sets them apart from other sunroom builders, aside from having great products, is their design process and expert craftsmanship. When other companies say something can’t be done, they come out, sit down with homeowners and find a way to create a design that works. The entire process from first call to finished product is surprisingly easy on homeowners. Once the design consultation occurs and precise measurements taken, the actual construction takes place in only a few days. Their crews have been with them from the beginning. Most crew members average 17 years or more construction experience. It takes a good deal of training to know how to work with these aluminum frames – it’s very different from wooden frame construction. When you do this day in and day out, you get pretty good at it. As many delighted customers discover, crews are dependable, arrive on time and leave construction sites clean and safe. Repeatedly winning National Dealer of the Year, Southern Exposure Sun- rooms® boasts awards from the National Sunroom Association and is the only company in the nation to recently receive recognition from Progressive Glass Technology Industries for best built design. With a staff that takes great pride in what they build and a golden reputation grown straight from glowing customer testimonies, Southern Exposure Sunrooms® continues to leave its competition in the shadows. New Location & New Sunroom Showroom! Southern Exposure Sunrooms has moved to a new location and has a larger and improved Showroom! We have been working hard to display some of our latest Sunrooms, everything from the EZE-Breeze, Nature Space All Season to Sunflex we have them setup and ready for you to come and see for yourself why we are the largest Sunroom dealer in NC. Our new location is 412 South College Road, University Centre, (near Lowe’s and Sam’s Club) Wilmington, NC. We look forward to seeing you soon!